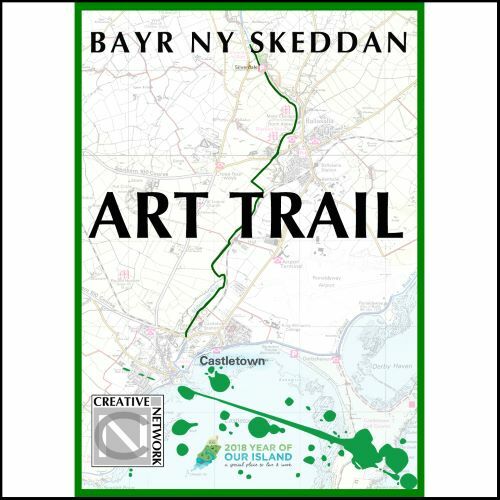 Thanks to funding received from 'The Year of Our Island' in 2018, the Creative Network are developing a new type of cultural attraction; an Art Trail which will begin in Castletown town square, taking in various examples of street art and murals, and follow the Bayr Ny Skeddan to Silverdale Glen in Ballasalla. Call in to the Old Police Station in Castletown throughout festival weekend for an update on new art works which are set to appear throughout 2019 and beyond. As well as street art in and around Castletown square by Karolina Pawlowska, James Duggan & Megan Hindley, the first installations on the trail, in the form of live willow structures by Eve Adams, can be found scattered throughout Poulsom park (look out for a willow dome, a Loaghtan Ram and a Heron Shelter).